While in Penang, Roboman and I left our girls with my-laws for half a day to see the sights in Georgetown on our own. We hired a taxi driver to take us around to visit some historical landmarks, and to make a pit-stop for lunch. 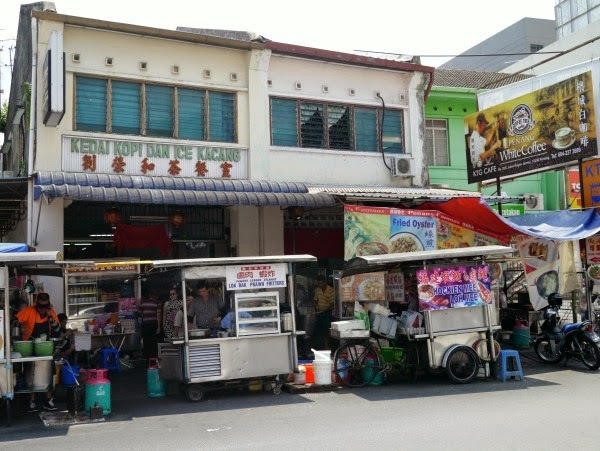 We told the good man that we wanted to go to a place where we could eat a variety of Penang street food, and he dropped us off at a corner coffee-shop at Lorong Selamat. The place looked tiny, and unpromising, but we got off anyway, choosing to trust our driver's recommendation. To our pleasant surprise we enjoyed the food so much, and later found out that this place is rather well-known! In fact, TripAdvisor lists it as a place where you can find the "World's No. 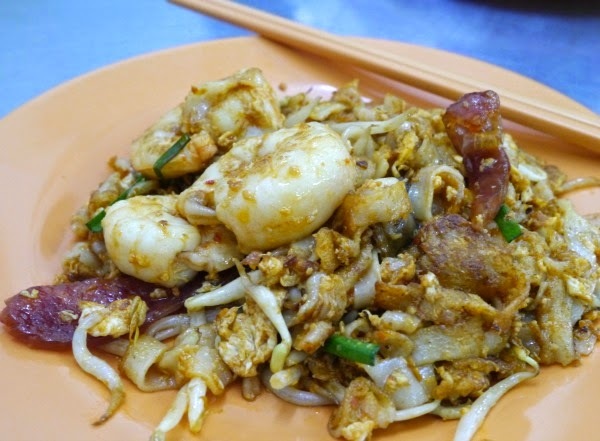 1 Char Kway Teow". 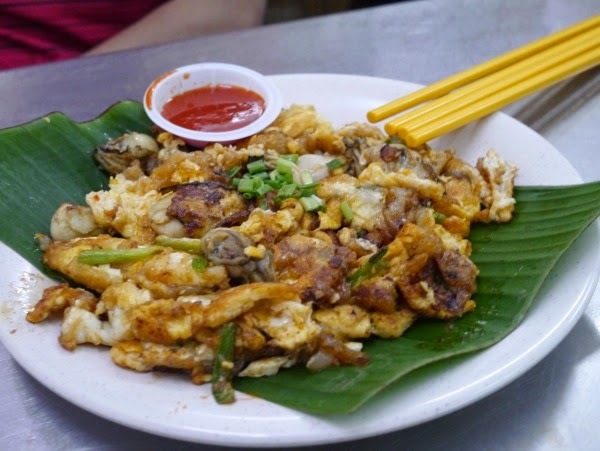 We first placed an order for char kway teow, and were told we had to wait for 30 minutes! Roboman and I used those 30 minutes very well, ordering other dishes like Oyster Omelette, Penang Prawn Noodles, and Penang Laksa. The latter two were fantastic, while the oyster omelette was just good, in comparison. 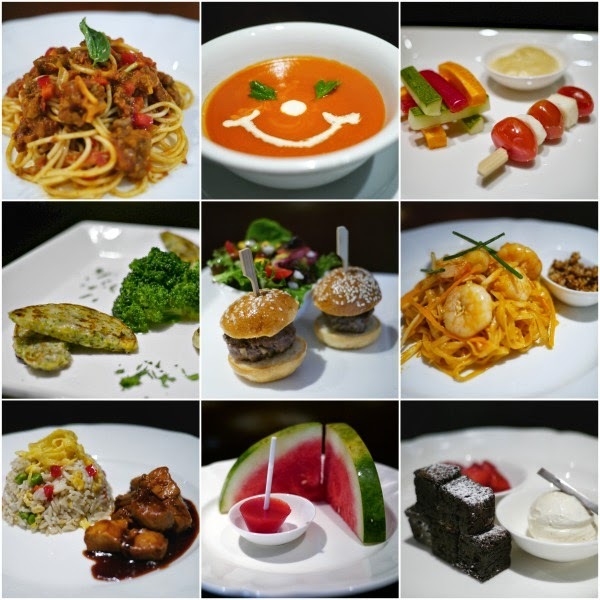 I am hungry just looking at these photos! 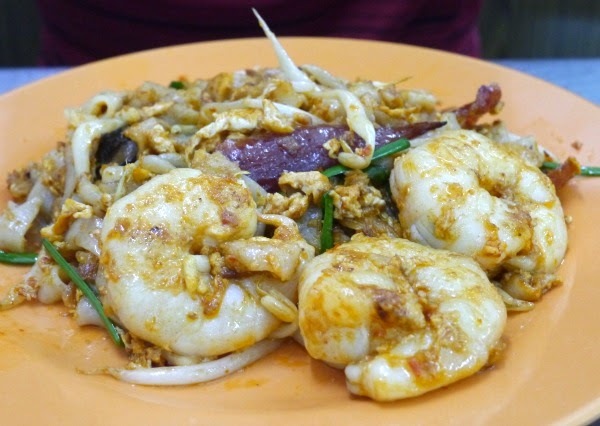 And here are two photos of the famous Char Kway Teow, each plate with 3 big juicy prawns. This dish did not come cheap though, at MYR$8.50 per plate! 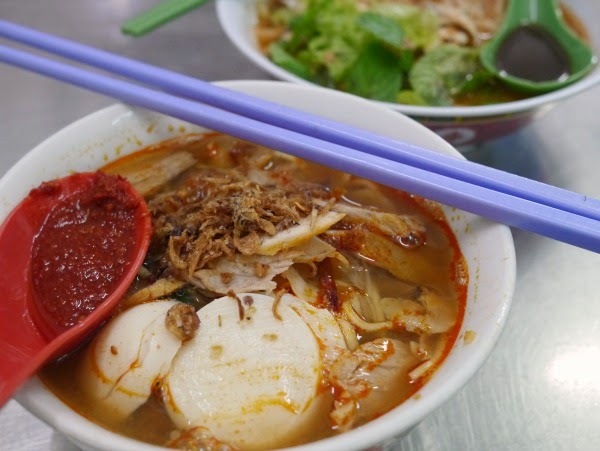 I highly recommend this place if you are visiting Penang and do not have much time to spare looking for good street eats. 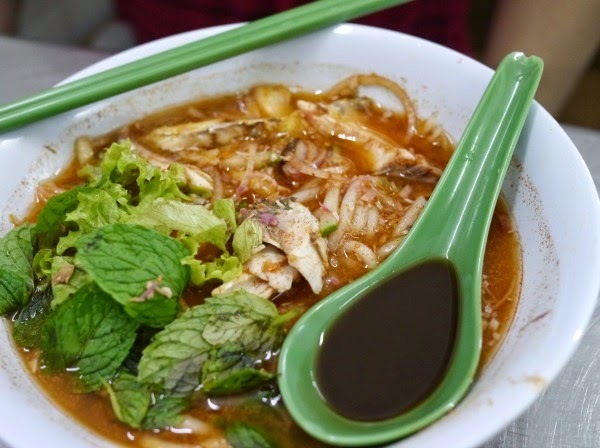 You can get almost all the famous dishes here. 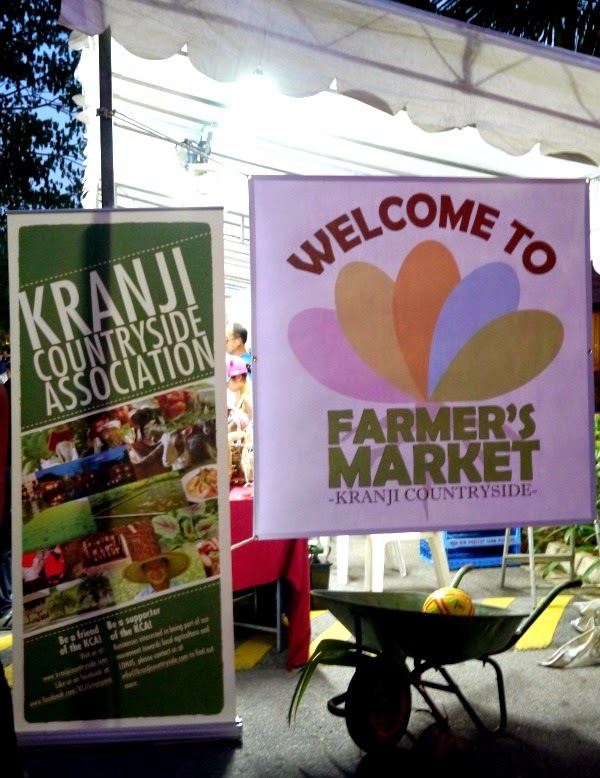 The place is buzzing with both locals and visitors, and it is because the food is good, if not cheap. 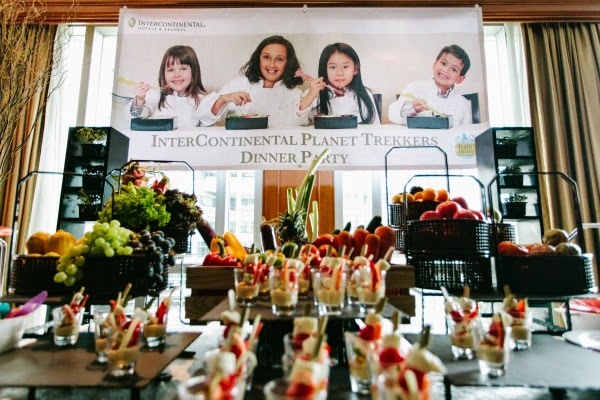 Another advantage of this place is that it is not far from Georgetown's tourist sites, so you do not need to travel far to fit this into your schedule. 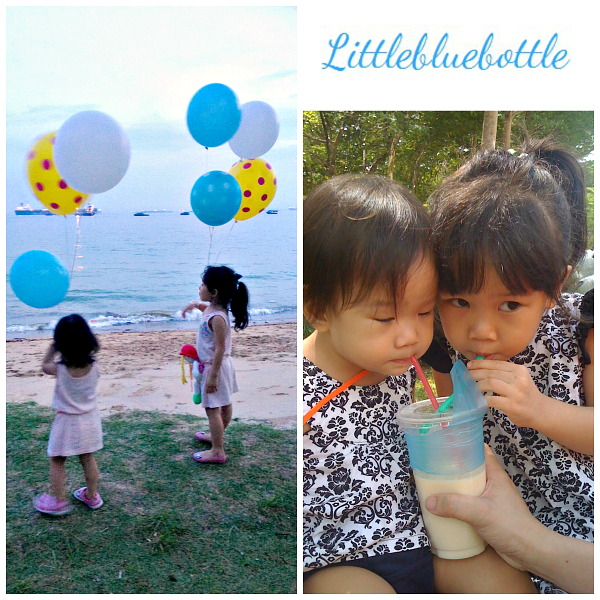 We were on a beach holiday in Penang recently and we brought along with us a few hair products from pout. 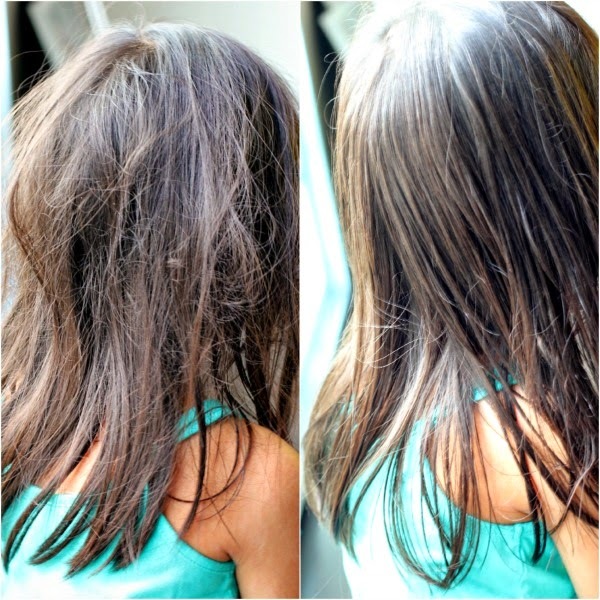 We were offered three products to try, and I picked all hair products because those are what my often-tangled-haired girls need most right now! They like to swim, and have fine hair, so their hair gets dry and so messy. I sometimes joke that they have birds' nests on their heads! The three products we tried (L-R): eco.kid Daily Tonic Leave-in Conditioner (S$19.50), eco.kid Hydrate Intense Conditioner (S$19.50), and Circle of Friends Kylie's Pre-swim Conditioner (S$28). I am not sure about your children, but mine really detest getting their hair brushed. It is a chicken and egg problem because when their hair is tangled, it is painful to have it brushed. But then hair does not untangle itself! Bun also hates having her hair washed, so putting shampoos and conditioners are always an issue at bath time. Fortunately Bubbles is now alright with getting hair washes, so that is one less problem for me. Still, I chose a leave-in conditioner to try because hey, it is just a spray! No more screams at bath-time to get hair nice and smooth! So here is the result of a couple of sprays on Bubbles' regular bed head. Note that I did not comb or brush her hair after I put on the conditioner. I simply ran my fingers through her hair, and smoothed it down a little when my hands! Not bad, huh? Even Bubbles was impressed when I showed her these photos! 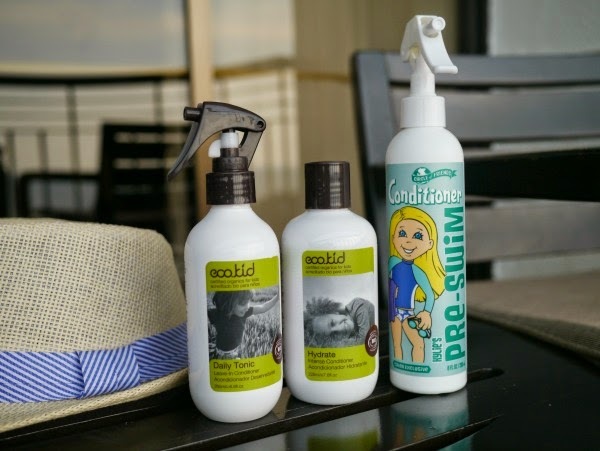 You may like to know that eco.kid products are certified organic. 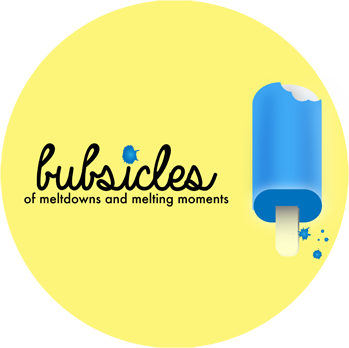 They are made in Australia and formulated for kids aged 3-12. There are no silicones, sulphates, biocide preservatives, artificial fragrances and artificial colouring. Products are anti-bacterial, anti-viral and anti-inflammatory. And how about Kylie's Pre-swim Conditioner? Our verdict is that it was very easy to use. I simply sprayed it on my children's hair after they were plastered with sunblock on their bodies! The spray comes out as a fine mist, so it was easy to get it all over the hair. It has a slight coconut fragrance. The product information states that this conditioner helps to protect hair from turning green, breaking and drying. 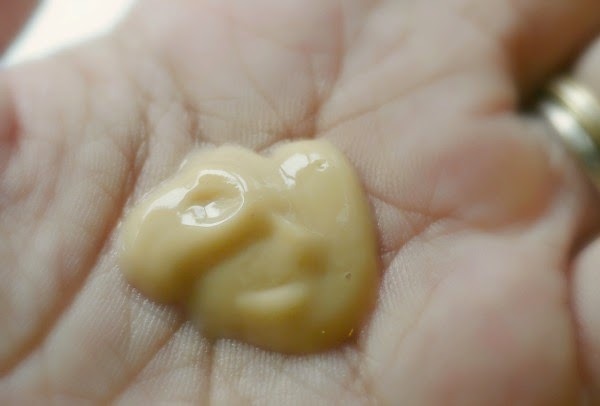 It also contains an exclusive blend of polymers, emollients and Vitamin B5. I found that my children's hair did not have that over-chlorinated dry feeling to it after their swims with this product. I like it, and if they keep up with regular swimming like that do now, I will definitely be purchasing this product when it runs out! pout is now offering a special discount to my readers! to get 10% off your purchases. 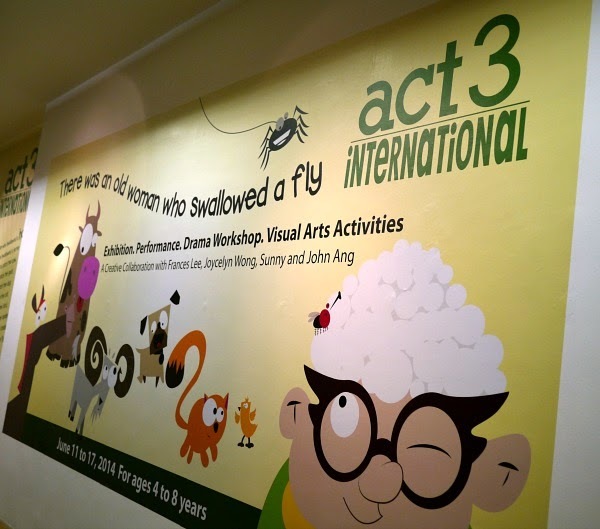 ACT 3 Drama Academy Workshop: "There Was An Old Lady Who Swallowed A Fly"
Bubbles was invited to attend an arts-filled workshop over the weekend conducted by Act 3 Drama Academy. 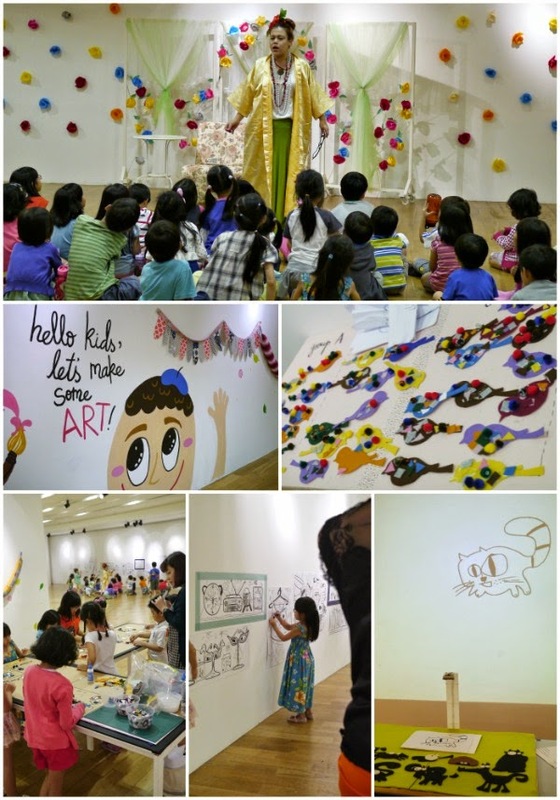 Based on the amusing story "There Was An Old Lady Who Swallowed A Fly", the children (aged 4-8) were treated to a performance, participated in a drama workshop, experienced some visual arts activities and interacted with an exhibition. As it was a drop-off programme, I hung out a while at the start before leaving Bubbles at the ION Art Gallery where the workshop was held, and went off to get lost in the crowded mall. 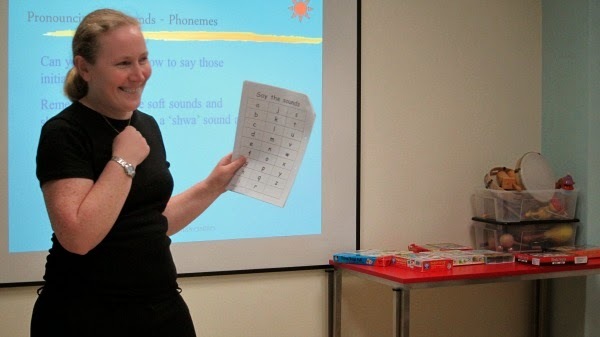 When I returned 15 minutes before the session ended, Bubbles gave me a grin, waved, and said "See you later, Mum! ", before skipping off to continue her activity. I quickly asked: "Did you have fun? ", as she ran off exclaiming: "Yes!" 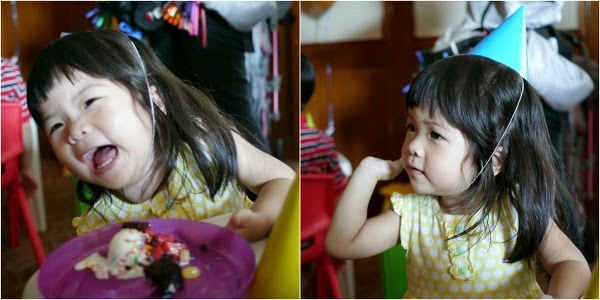 From what I saw, the children were well-engaged in the activities. They were split into groups after watching the performance, so that in smaller numbers they moved around the space to participate in the various elements of the workshop. Bubbles particularly enjoyed the craft work, as well as the opportunity to add to the wall murals. She proudly showed me her drawing on the wall at the end of the session. 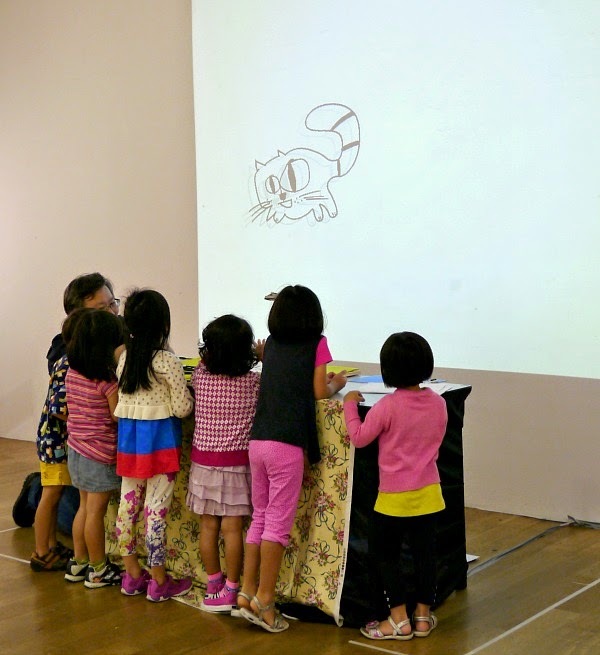 Many children were obviously taken by the doodling station, where through clever use of hidden buttons rigged on a table, they were able to see their own drawings come to live on the screen! This run of the drama workshop has ended, but you can sign your child (3-7yo) up for a 2-hour workshop in September: The Owl Who Never Speaks. There is also another week left of the 5-day June Holiday Drama Workshops to consider, if you need something to fill-up the last week of the school holidays! June, and and will take place too from 23 to 27 June 2014.
an adventure through forests and oceans, and meet zany characters along the way! Children will go on an adventure with the debonair mouse named Stuart Little as he faces comic misadventures during the journey. Suitable for 6 to 8 year olds. This workshop is an opportunity for 9 to 12 year olds to go on a journey in search of treasure just like how the Famous Five did in Enid Blyton’s ‘Five on an Island’. Strange and amazing creatures come together on a journey across Middle Earth to attain what they wish for. Teens aged 13 to 16 will be challenged with character work and achieving a sense of mastery as they story tell and dramatise. 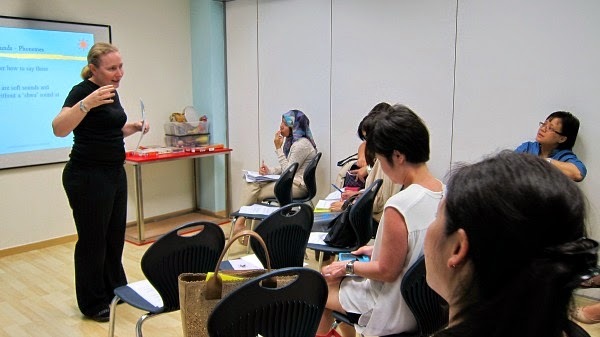 To register for the workshops, parents are invited to book online at www.act3international.com.sg, call ACT 3 Drama Academy at (65) 6735 9986, email at act3int@act3international.com.sg or visit the premises located at ONE-TWO-SIX Cairnhill Arts Centre, 126 Cairnhill Road. More information can also be found on the website. An exciting new project: petite travellers! I am so excited to share with you about a new collaborative project that a few of my friends and I have started. We have launched a new blog called petite travellers! 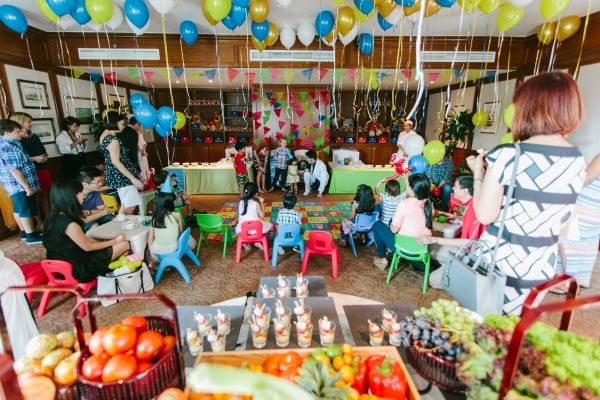 This blog aims to document family-friendly holidays for discerning little people. There will also be travel tips and other interesting content about travelling with children. 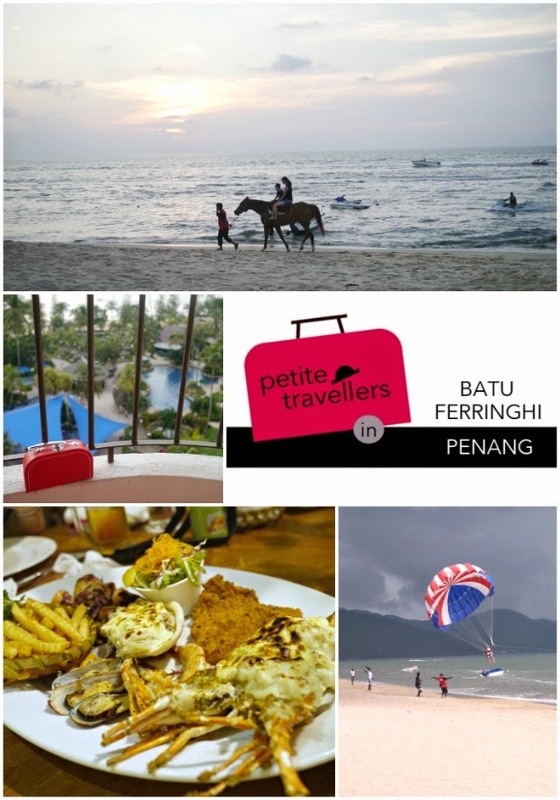 I have contributed a post based on our recent visit to Batu Ferringhi in Penang. You can read my post here. We would love for you to visit this new page and to tell us what you think! Comments on the page will be much appreciated, so do pop over to show some love, ok? You can also connect with petite travellers on Instagram (@petitetravellers) and on Facebook. Come travel with us on our new space! 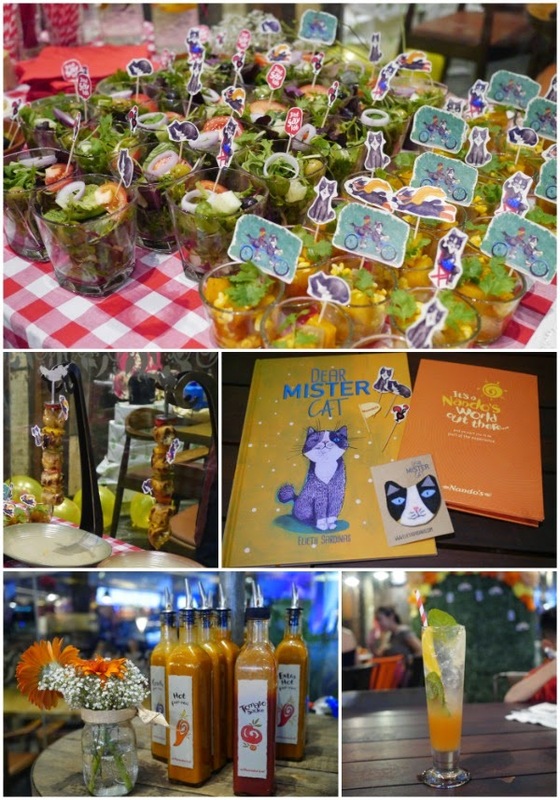 I recently attended a media book launch of "Dear Mister Cat", a children's book written and beautifully illustrated by Elieth Sardiñas. 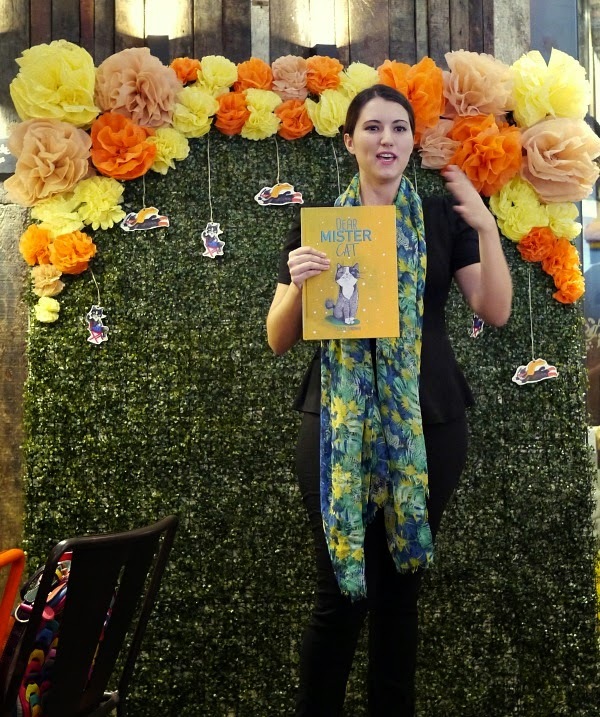 Elieth is one of two winners of Nandos Singapore's "Dear Nando's" contest, and had her wish of self-publishing this book fulfilled through a full-sponsorship by Nandos. At the event, Nandos treated us to a lovely spread of their specialties, including the tasting of a new dish called Espetada Carnival - marinated chicken chunks kebab-style, stuffed with feta cheese and garlic. I have always been a Nandos fan and used to insist on a meal whenever I had a chance abroad, before the chain arrived on Singapore's shores. I adore spice and I like grilled meats, so Nandos' spicy Peri-Peri chicken really hits the spot for me. 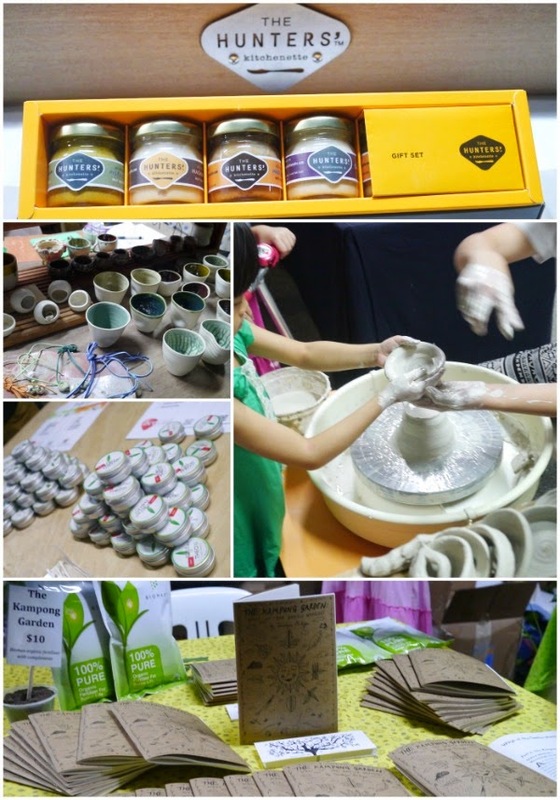 We were also served a number of their designer drinks that included fresh fruit and herbs. They were refreshing on the palate! Elieth also made an adorable felt cat pin for every guest. Such a lovely gesture! "Dear Mister Cat" is a heart-warming story of love, adventure and imagination. You can pre-order the book on Elieth's website here. 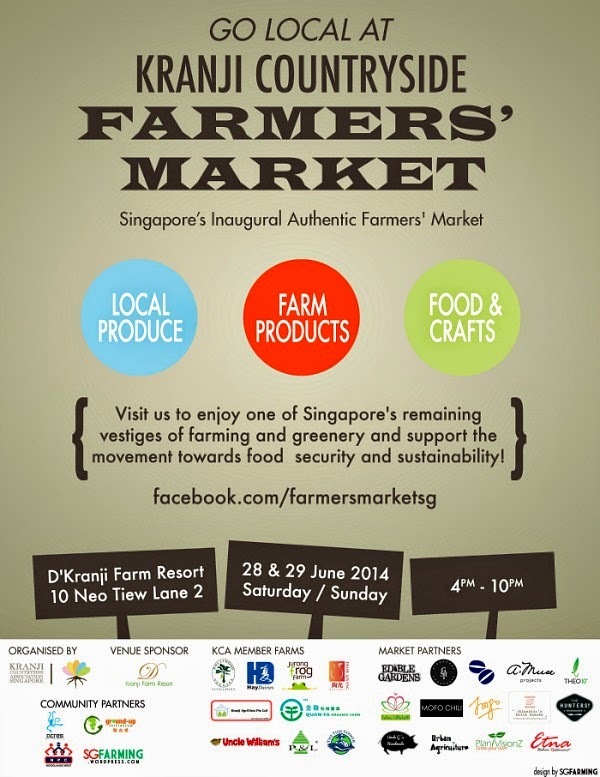 It is retailing for S$15. I am sure most of you would have heard of the fashion focused online shopping site Zalora. It offers over 500 brands and is present not only in Singapore but also in Indonesia, Malaysia & Brunei, the Philippines, Thailand, Vietnam and Hong Kong. I myself have been acquainted with it for some time, as my sister is a fan of the site. She does quite a bit of her clothing shopping through them! Recently, I had a bit of time to browse through their site more thoroughly, and was impressed with the large variety of fashion products that they carry. After being assured by my sister about their hassle-free returns policy, I signed up for an account and ordered a number of items. To my pleasant surprise, my items arrived really quickly, within 3 days, and each packed neatly in plastic. I tried on all the items, kept those that fit, and sealed back those that did not. It was like having a store's fitting room in one's own house! I then filled out the form provided - it was easy to just tick of the reasons for the return - put the items I did not want back in the plastic envelope, and dropped it off at the post office. In just a few days, I received an email informing me that my money has been refunded! I was impressed by how easy it was. The two items that I bought from the site - a top and a skirt - have served me well too, and I wear them often! Having had this lovely experience, I told Zalora that I am ready to partner them to share more about their site on my blog, so here is my first post...and it is about SHOES! Zalora carries almost 100 brands of shoes on their site - for both men and women. Like Zalora's clothing offerings, you will see affordable options, regular high street finds, and many popular brands like Melissa, Betsey Johnson, Steve Madden, Nine West, Aldo, Dr Martens, and Nike, among many others. Here are a few of my picks - in the 3 broad categories that I classify my own shoes in! I had fun picking out these shoes, and I hope you enjoyed the eye candy! 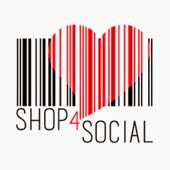 Do have a browse around the site yourself and see if anything catches your fancy! 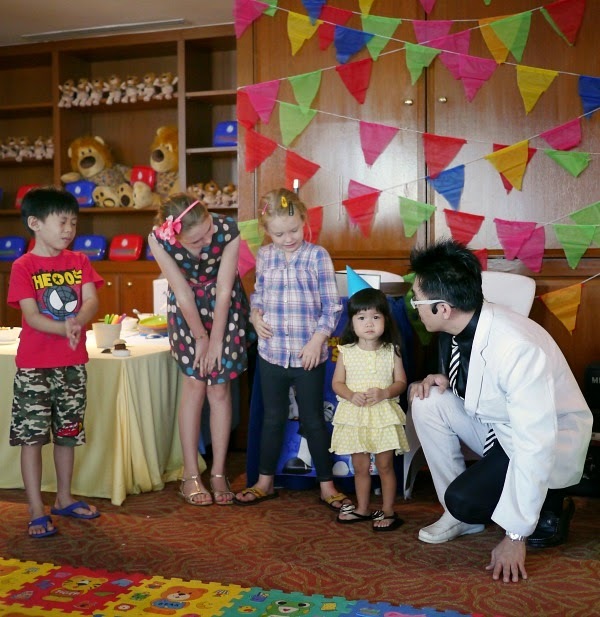 Capturing Kids at Play with Canon Singapore: The ABCDE of Photographing Kids! Being such homebodies they are, I seldom take my girls to events unless I am absolutely sure that they will enjoy them. 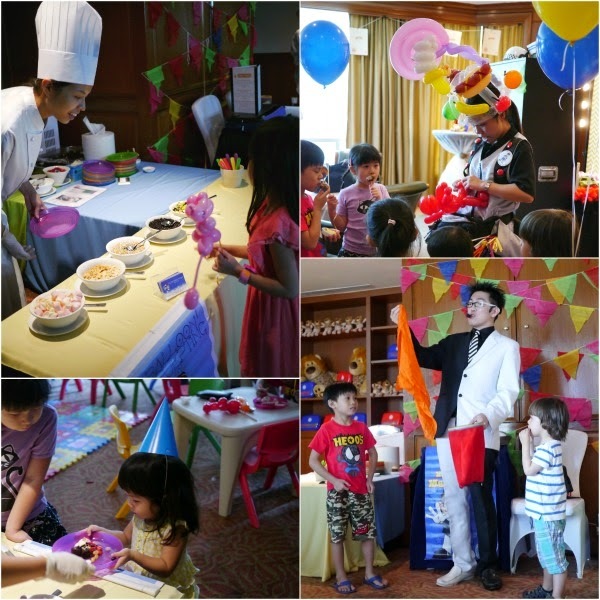 When Canon Singapore invited our family to spend an afternoon at Fidgets, I knew that it will be an event that will be a hit for everyone. 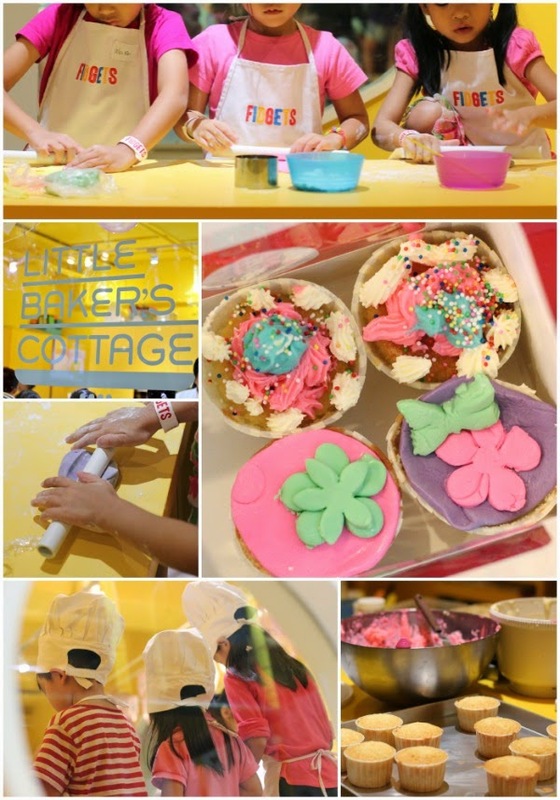 While the children were treated to a choice of cupcake baking, arts and craft, or free play at the large indoor playground, the adults had the opportunity to attend a talk by Bob Lee, a photographer and former photojournalist. Canon also provided us a big tea of sausages, pizzas and sandwiches. Bob was an effective, personable speaker who quickly built a rapport with the group with his funny anecdotes and stories about his family. 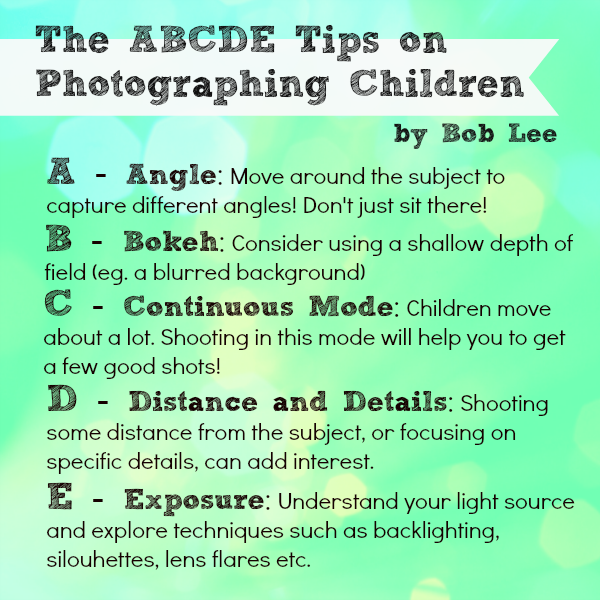 He gave us quick tips on photographing children, using many beautiful photographs of his own as examples. In particular, most of his photographs were of his only son, for whom both Bob and his wife decided to take on freelance work, so that they could spend more time with him. There were several touching moments when he shared special snapshots of his son, each picture telling an interesting story. His tips for G-Z is to Just Keep Shooting! Indeed :) My greatest takeaway from all of his examples however, was that photographs should tell a story. Most of us already sort of know that, but I am going to try to be able to be more conscious about this in my photography from now on. 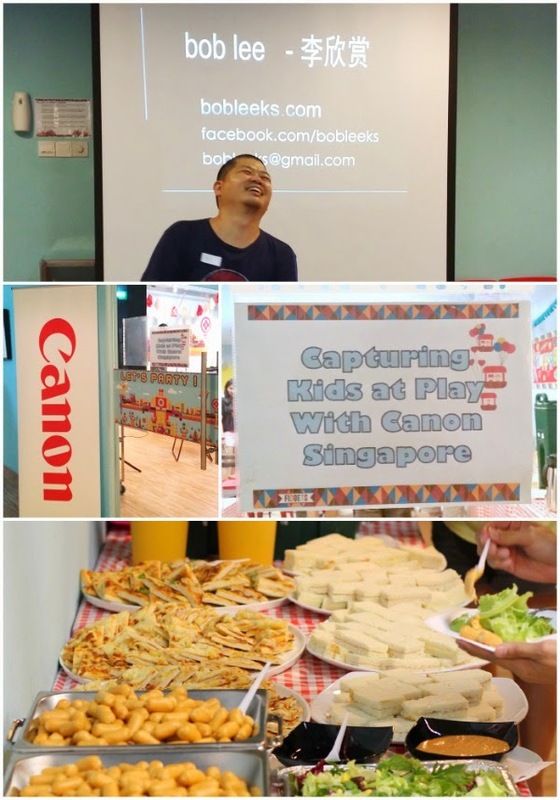 Thank you Canon Singapore for the lovely afternoon! Lyn of Little Blue Bottle introduced this blog hop to me. We have known each other since our wedding preparation days, and incidentally got hitched on the very same date in March 2007! Fast forward a couple of years and we are both now mothers with two little girls each. You can see Lyn's Writing Process Blog Hop blog entry here. Besides myself, Lyn has also linked to Life Is In the Small Things. 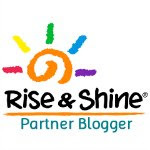 Just for the record, I do not usually take part in blog hops or linkys but was drawn to this one as it gives me an opportunity to take you "behind the scenes" of this blog. I hope that you enjoy reading my responses as well as the entries of other writers that are linked to this hop! I am putting in place content ideas, mainly in the areas of health and lifestyle. After a few years of writing about children and family, I am ready to restart my engine to write about other areas that I am interested in and enjoy. You can expect to see more posts about living a healthy lifestyle, reviews of food places, and fashion posts! Besides content, I am constantly tweaking the blog design, the sidebar banners, and other nitty gritty adjustments to make the blog read better. I have plans to grow the blog's community but have to wait till I have more time on my hands! b. How does my work differ from others in its genre? 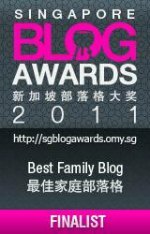 A Dollop of Me has in recent years been classified as a family blog because (let's be honest) I cannot resist writing about my children and family life. One thing that sets my blog apart from the majority of family blogs is that I do not use real names, and I stop putting facial photographs of my children once they reach a certain age. Protecting their privacy is something that is important to me, and I believe I can still write good pieces and reviews without putting them out there. Happy family photos and close-ups of facial expressions are kept for private viewing! I am well aware that this decision may (and perhaps has) made A Dollop of Me less enticing to corporate sponsors, but that is something I understand and can live with! This question is a hard one to answer because the WHY about keeping up with this blog has changed over the years. Right now, it feels like this space has become so much a part of my life that it will be difficult to let it go. It has been years since I have written in a public space in a rather personal manner, and while the blog has grown tremendously in terms of readership and opportunities, it still feels like a safe and happy place to be. I write today because I enjoy sharing experiences, using photographs to tell stories, and having a conversation with the wider world. I almost feel embarrassed to answer this question! In the past year, I have not been as systematic as I would like to have been with writing and publishing blog posts. It was a conscious decision to prioritize the family, in particular my two girls. That said, I am looking forward to July when Bun starts playschool and there will be a short window of time in the mornings to get work done! In general, however, I will start a blog entry with an idea about what I want to say, and then put in photographs (or images) to complement the piece. I keep a list of ideas for blog posts that I hope to write, and will work through these ideas as and when I obtain the additional information (links, photos, quotes etc) that I need to write a post. Each blog entry can take a few hours to put together, including time taken to gather information, take photographs, and edit images and writing. The satisfaction of publishing a good blog post is my reward.